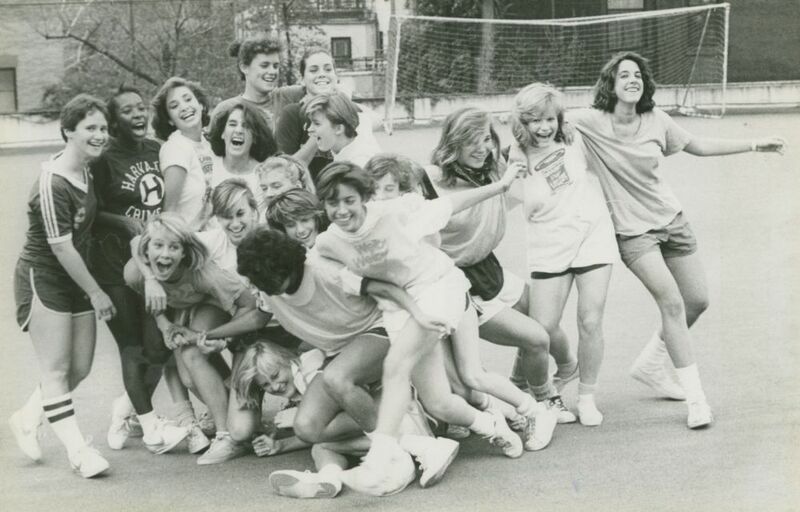 This is an unidentified photograph from the Trinity School archives. 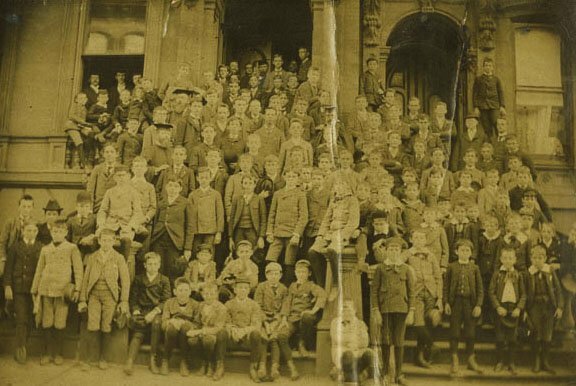 If you can identify the people, place, situation, or any traditions or tales related to it, please send your information to: trinitypersaecula@trinityschoolnyc.org or to: From the Archives, Trinity Per Saecula, 139 West 91st Street, New York, NY 10024-1326.Responses will be printed in the autumn 2018 edition of Trinity Per Saecula. "Coincidentally, I still have a few old Trinity yearbooks, some of which enabled me to piece together background information on 'What is going on here.' The photograph on page twenty-two of the spring 2017 edition of Trinity Per Saecula is clearly from the same photo shoot as the 1993 Trinity School yearbook classroom photo of me and my tenth grade Algebra 2 students. The 1993 yearbook photo also appears, in a smaller size, on my retirement page in the 2011 Trinity yearbook. In 1976-1977, my third year at Trinity, Patrick 'Packy' Wall ’81 was a student in my eighth grade Algebra class. At the beginning of that school year Packy started the tradition of students calling me 'Mr. O.' 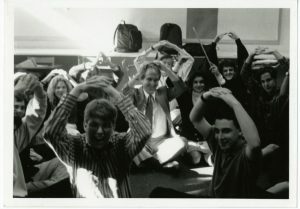 During my time at Trinity when our yearbook classroom photo was being taken, some years my students would hold up their arms to make the shape of an 'O.' The year 1993 was one of those times. Interestingly, in my last year at Trinity I had junior Zachary 'Zack' Wall ’12, the son of Packy Wall, in my precalculus class. I send my greetings and best wishes to all." 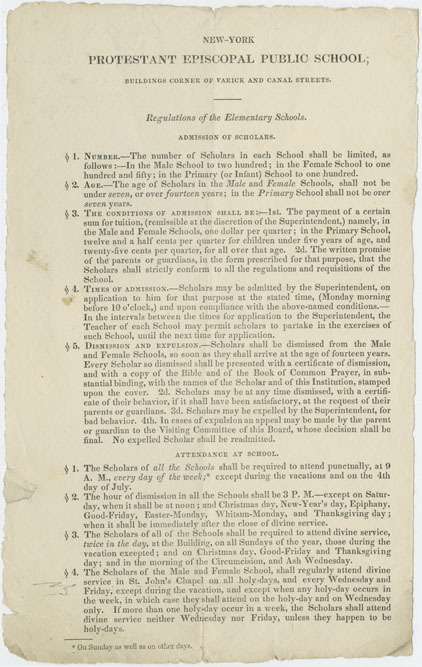 From the Archives - Regulations of the Elementary Schools, ca. 1822, when Trinity was located on the corner of Varick and Canal Streets. Some highlights from the document: -200 boys and 150 girls attended Trinity at the time. -Tuition was $1 per student per quarter for students aged seven to fourteen. -Students attended school seven days a week, from 9 a.m.- 3 p.m., except on Saturdays, when dismissal was at noon. -Upon "dismission" from Trinity students were presented with a Bible and a Book of Common Prayer, with the name of the student and of the School stamped on the cover. 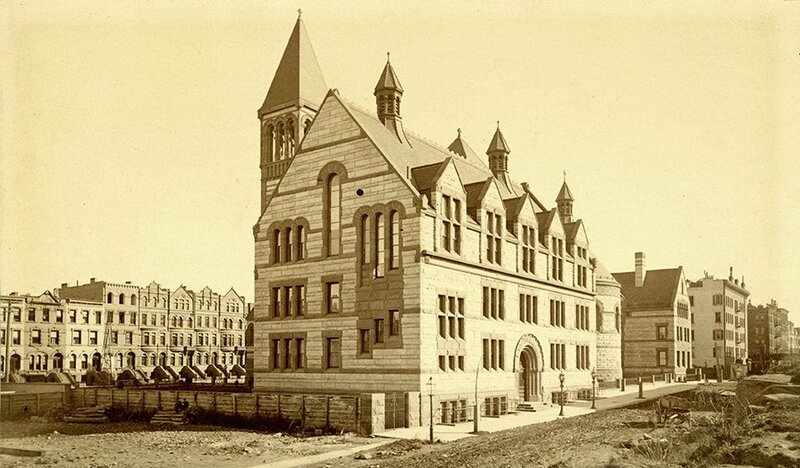 Trinity School at 108 West 45th Street in 1893. 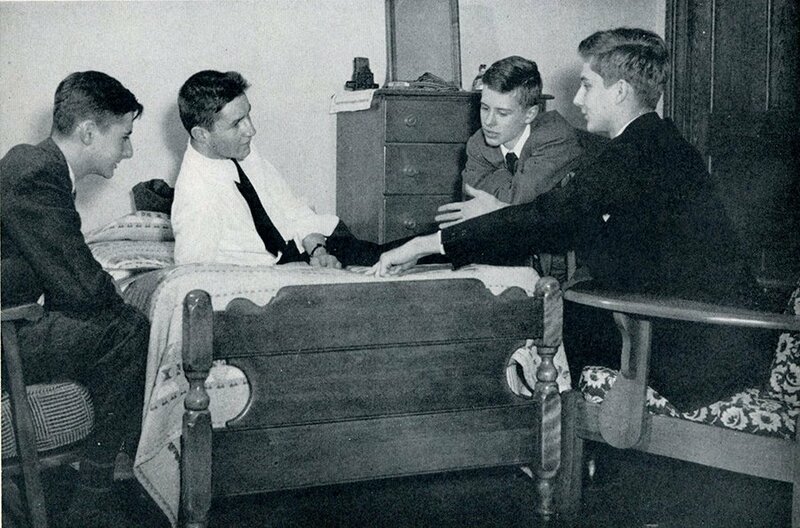 Boarding students in the Trinity School dorm on West 91st Street, ca. 1945. Looking north and east on West 91st Street with St. Agnes Chapel...before Trinity School, ca. 1892. 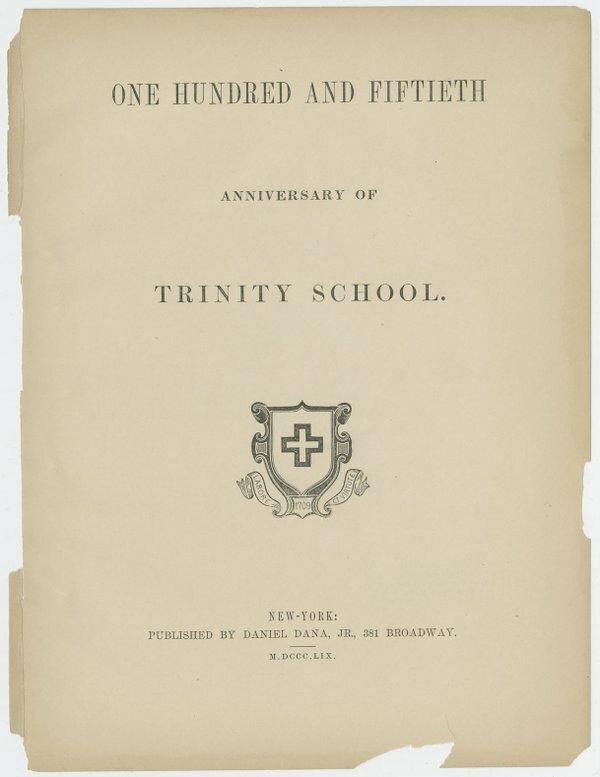 Cover of the commemorative program for Trinity's 150th anniversary in 1859. The service was held at Trinity Chapel of Trinity Parish, at 15 West 25th Street. The building was sold in the 1940s to the Serbian Orthodox Church and became the Serbian Orthodox Cathedral of St. Sava, which was severely damaged by fire on Sunday, 1 May 2016. 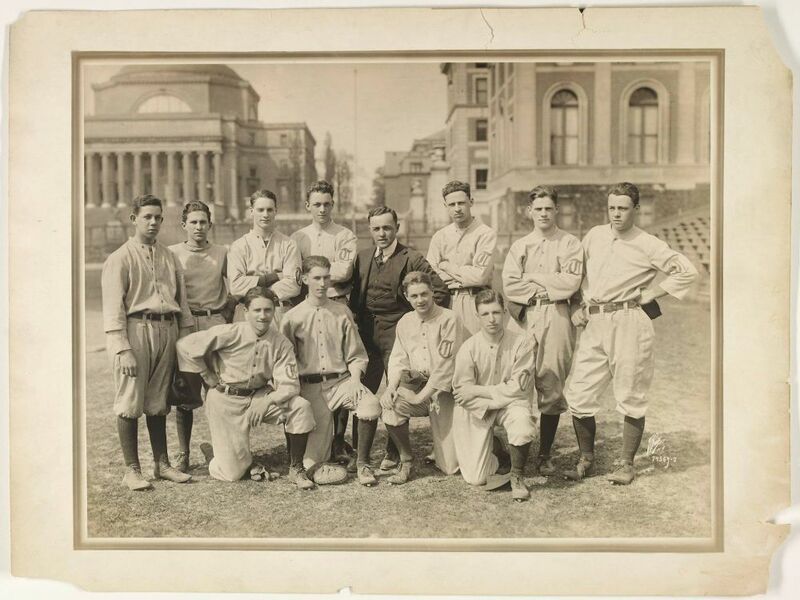 Trinity Boys Varsity Baseball at Columbia University, ca. 1920.